It wasn’t cold — it was actually hot, hilly, and buggy. 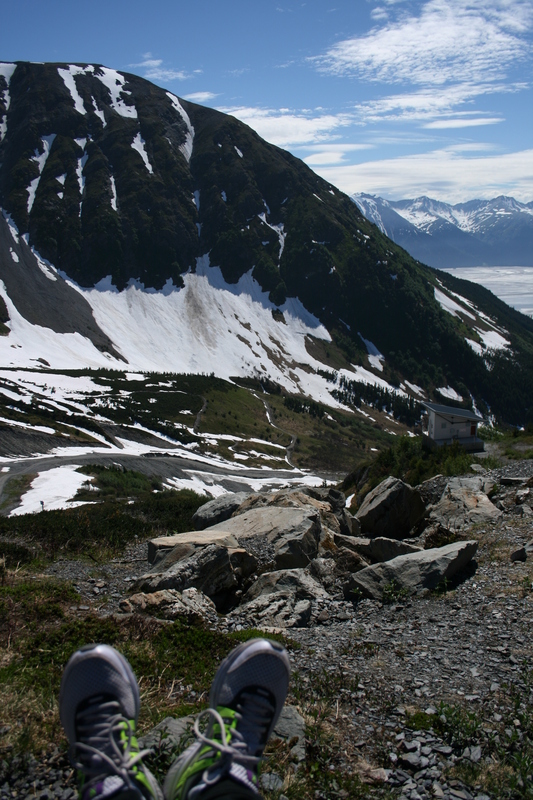 The Alaska Mayor’s Marathon held in Anchorage, hosted runners from every state except Rhode Island on June 22, 2013. The lower 48 participated and sported colorful running gear and a rugged attitude to trek through the wild landscape. Bear and moose warnings were announced. And the strict no littering policy was emphasized. The people of Alaska are proud of their state and want to keep it pristine and a perfect home to wildlife. The only encounter that George, a Northern Virginian, had to fight off was the unofficial state bird of Alaska — the pesky mosquito. George finished his fourth marathon with his family cheering by the finish line. He considered signing up for his 5th after meeting a native who counted the Alaskan run as his 50th. Have you ever visited Alaska? Leave us a comment with a link to some photos from your trip! Only a dedicated runner would fly 4,437 miles to run a marathon. But George packed his neon trimmed Saucony running shoes and is starting his 4th 26.2 miler tomorrow in Anchorage, Alaska. The Mayor’s Marathon is special to George. It will have only about 1,000 participants, is hilly, and will have his daughter, Natalie at the finish line. Natalie is in the U.S. Air Force and lives on base near Anchorage. She is thrilled to see her Virginian dad and will be his biggest cheerleader. A high of 70 degrees is expected tomorrow — a heat wave for Alaska standards. Are there any runners reading this blog? What marathons will you be participating in?